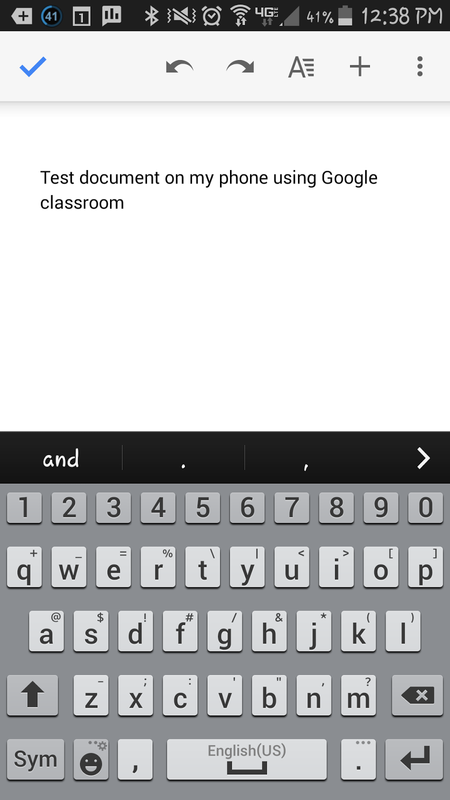 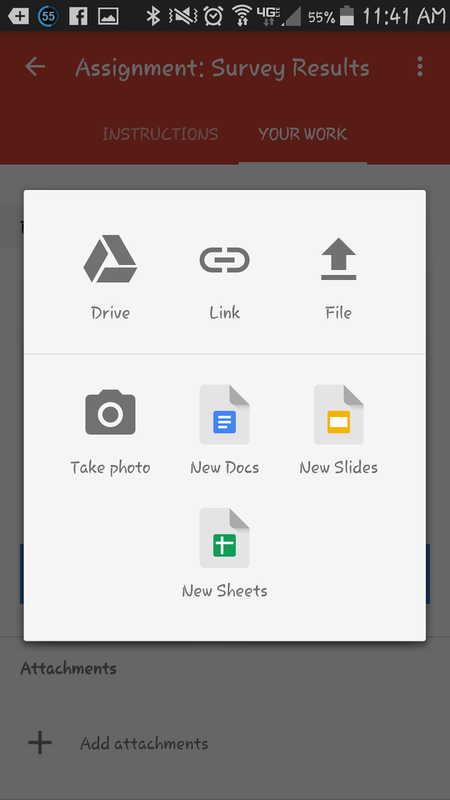 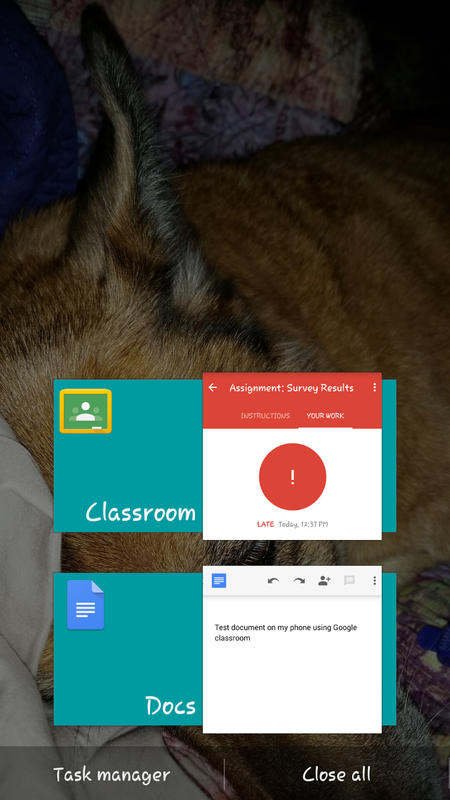 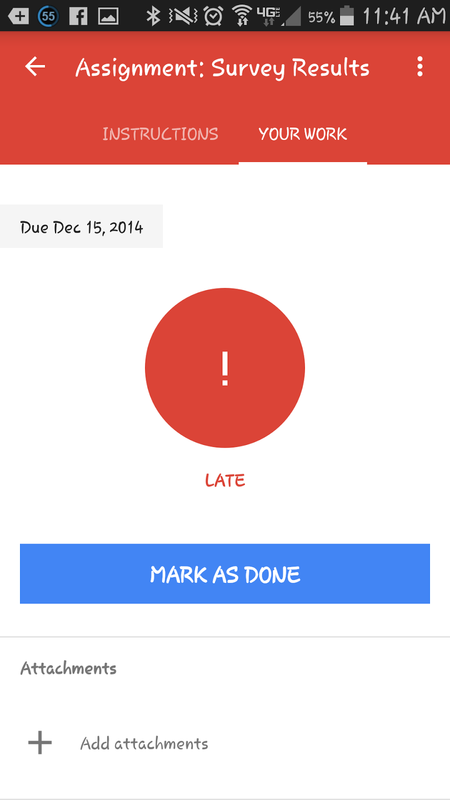 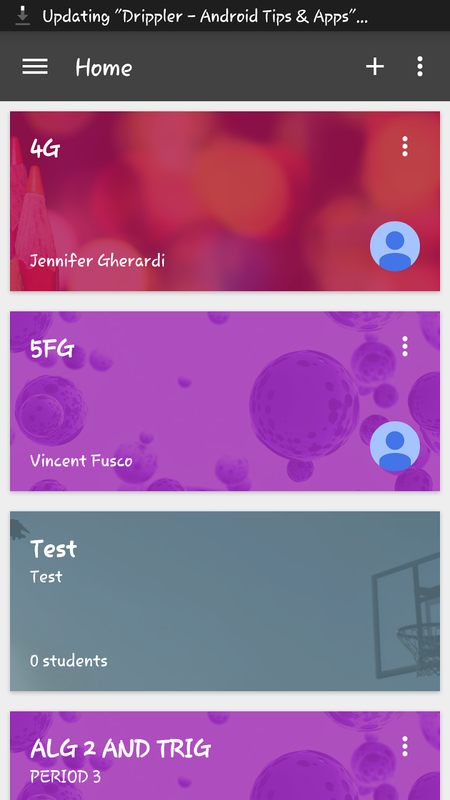 Emerging Tech Ed: Google Classroom's Gone Mobile! 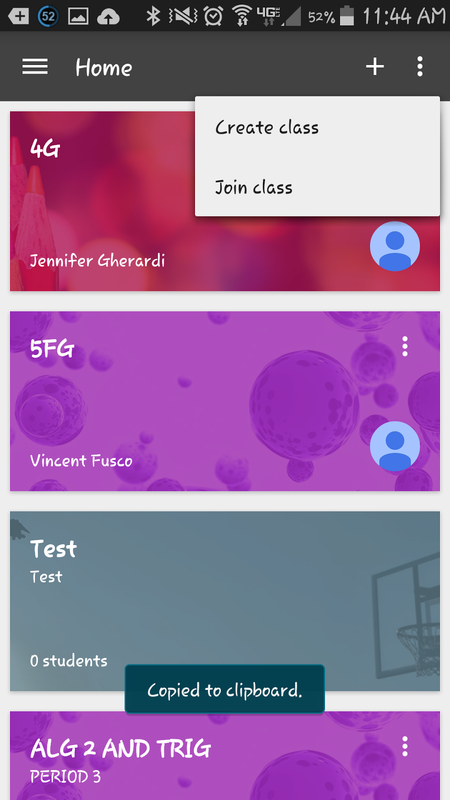 Google Classroom took the leap and went Mobile (it can be found on the Google Play or in the App Store ). 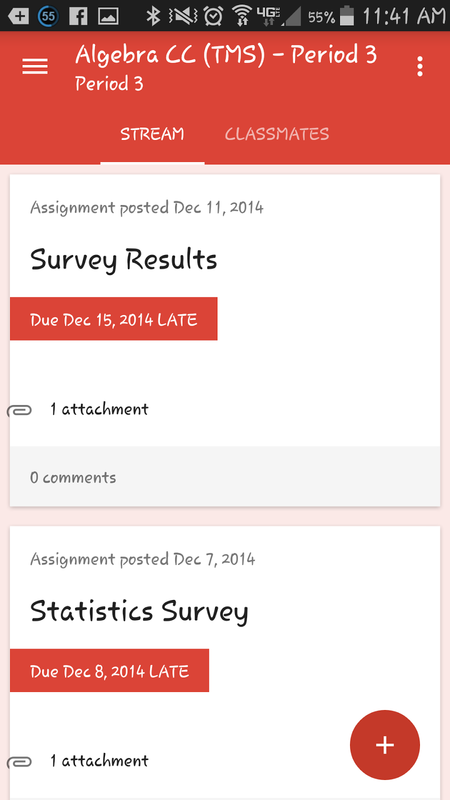 There are some great features on it for both students and teachers! 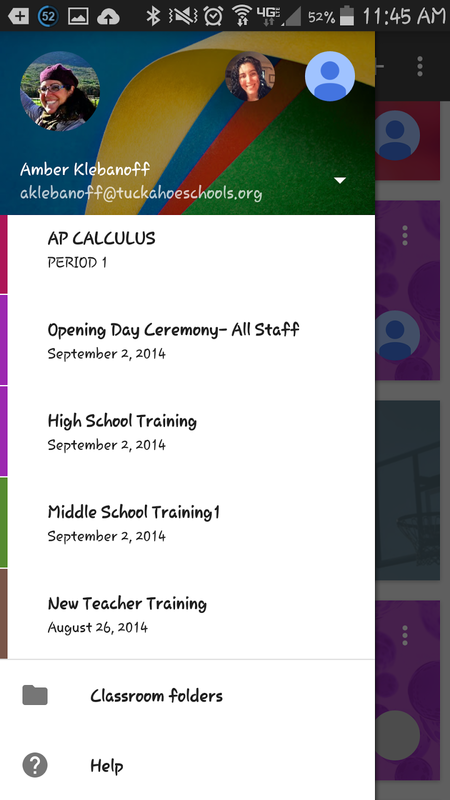 To see more information and read more about it visit A Classroom mobile app and new teacher goodies. 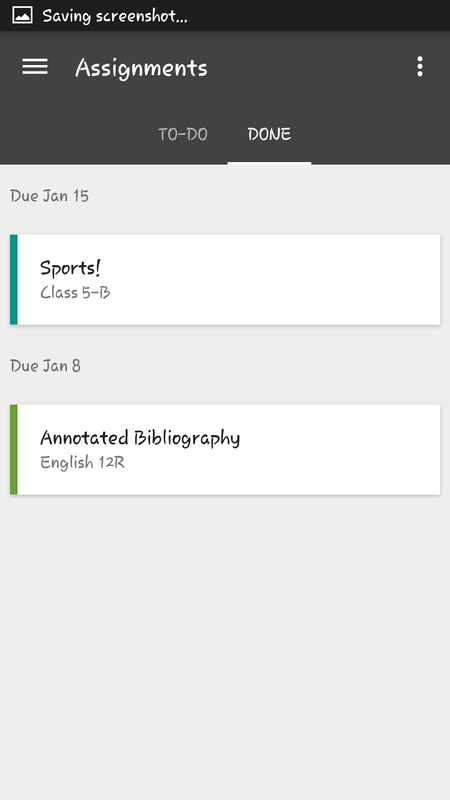 I downloaded the app on my Android phone and found some interesting features myself! 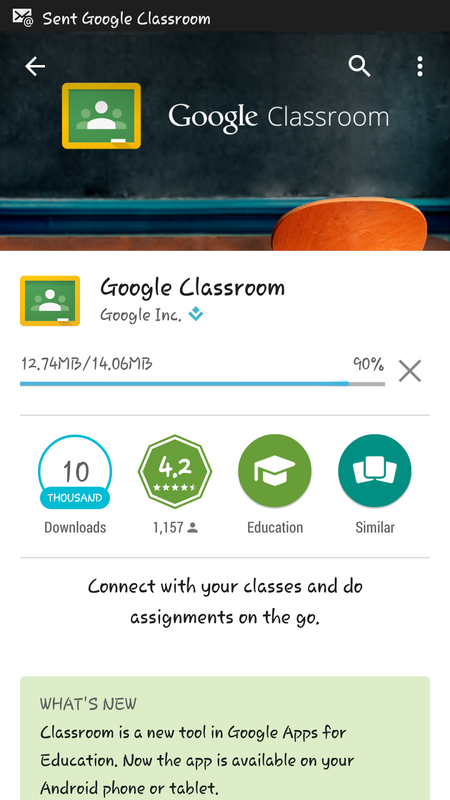 The App looks the same as the desktop version when you download it! 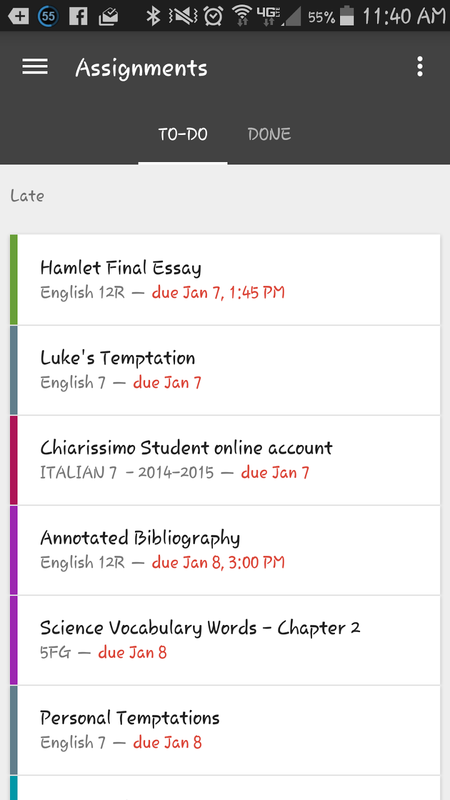 AND those that you have completed. 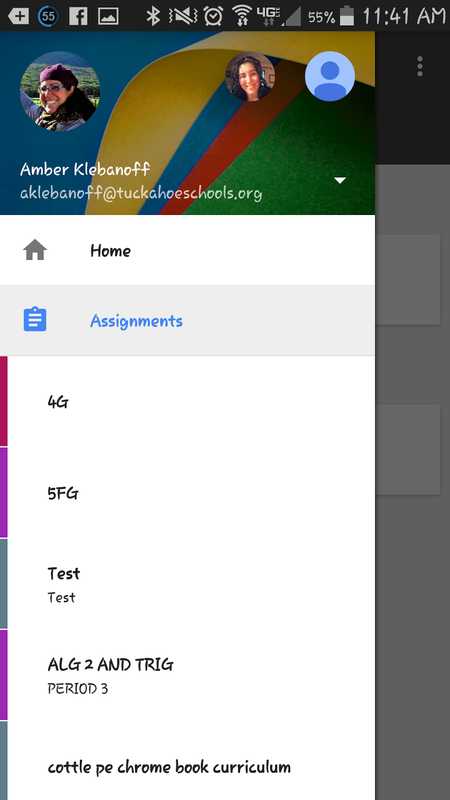 WHAT A CLASS WOULD LOOK LIKE TO A STUDENT!! 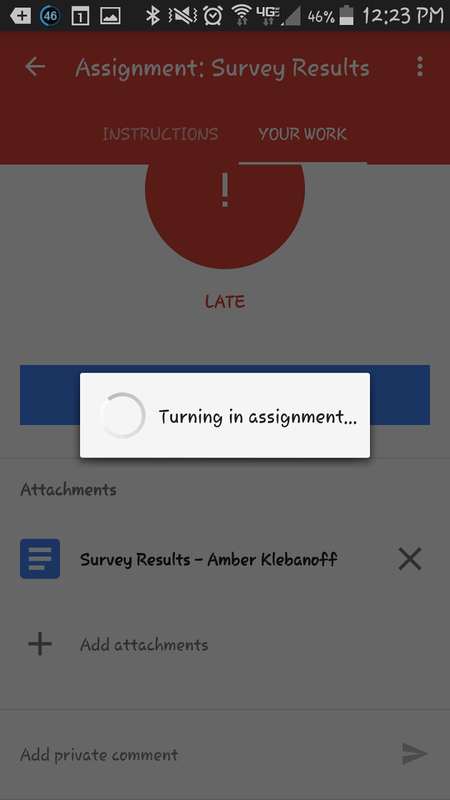 If a student were asked to go to their Google Classroom, this is what it would look like in the mobile version. 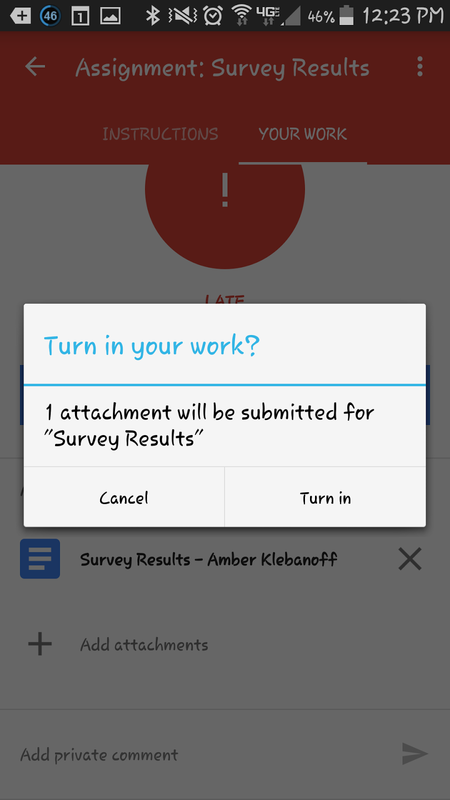 ....On the YOUR WORK screen is where they complete their work. 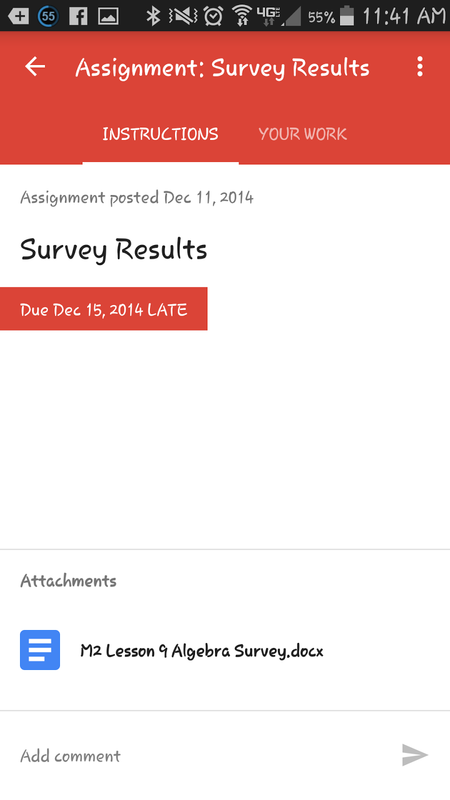 Here I can see the document I created attached to the assignment. 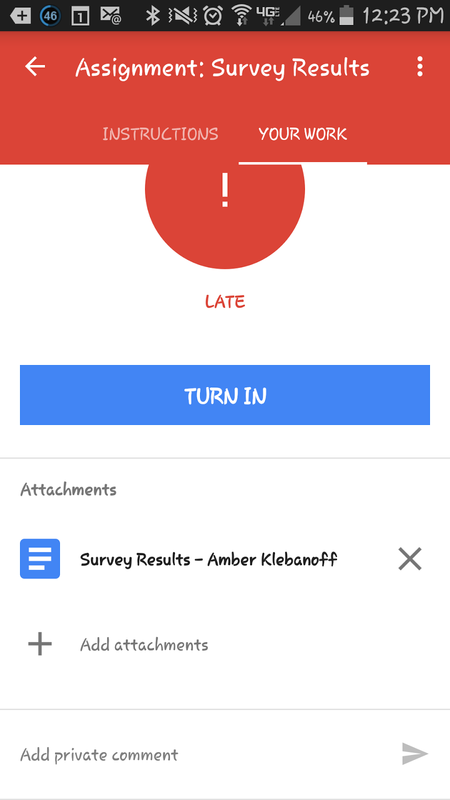 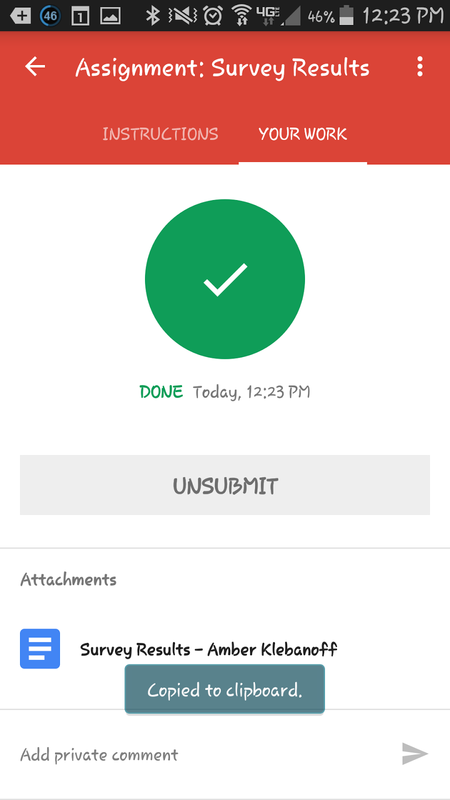 If the student wants to attach more documents, spreadsheets, slides or pictures to the assignment, they only need to click "+Add attachments"
If REALLY done, Click Turn in again.